The Episode starts with Mohini taking Anurag with her. Nivedita scolds Prerna and asks her to pick the ring. Prerna gets the ring to Anurag and gives him. Pandit asks Mishka to forward her hand. Anurag holds Mishka’s hand. She smiles. He makes her wear the ring. Prerna gets sad. Everyone claps. Mishka also makes him wear the ring. Prerna turns to go. Anurag looks for her. Everyone congratulates Anurag. He gets restless. Prerna cries and leaves from there. She thinks of Anurag’s words. Ranjha ranjha….plays…. Anurag looks for her and says where did she go, what was the need, I was about to talk to her, she was right there in front of me, I just don’t understand her. He sees his ring and says I got engaged, even then I m thinking of Prerna. He thinks of Anupam and Moloy’s words. He says it means I love Prerna, I left everyone behind and came here to meet Prerna, why am I doing this, yes I love her. Jaane de….plays…. He gets Prerna’s pic and smiles thinking of her. Prerna cries. Anurag says I will come and tell you. Pal ek pal….plays… Anurag laughs and says this is such a different feeling, I m in love, Sid used to tell me that I love Prerna, I didn’t understand, I m such an idiot, why didn’t I understand this before, its fine, its never too late, I should tell this to mum, I m sorry mum, my heart wants something else, my heart wants Prerna. He sees Prerna’s pic and says I have to tell you, I love you. Prerna says I love you Anurag and cries. Mishka says I hope Nivedita is right, Prerna leaves Anurag. Komolika says this ring is a promise from Anurag, he will never break his promise, the society won’t let him do this, Anurag and Prerna will forget each other, chill. Anurag rushes out of his room and looks at himself in mirror. Prerna comes back. She thinks I was so foolish and thought of telling Anurag that I love him. Anurag thinks this feeling is so beautiful, I didn’t think this realization will give me happiness, I don’t know what will happen. Prerna thinks I had loved him, everything was one sided. Moloy gives a drink to Rajesh and regrets that they will always be friends. Rajesh says stop this old nonsense. Veena asks what happened. Rajesh says nothing. Moloy says I told him that we will get Anurag and Prerna married, Rajesh refused. Shivani asks why did dad refuse. Rajesh says why do you ask. She says if two people of different natures meet, they complete each other. Moloy says exactly. Shivani says we will get them married. Veena stops her. Moloy says she is siding with me. He asks Shivani to meet him later. Rajesh says don’t hatch any conspiracy. Mohini comes and says Moloy you should be with Mishka’s dad now, he is Siddhant Chobey, come with me. Rajesh asks Moloy to go. Moloy goes. Prerna comes downstairs. Anurag comes there and sees her. He smiles and comes to her. 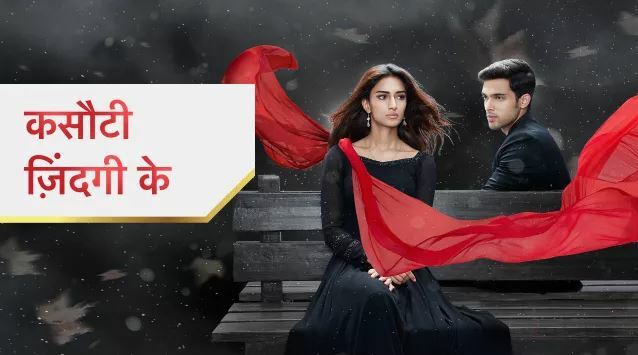 Tujhme rab dikhta hai….plays…..
Mishka burns Prerna’s pic and throws the pic. The place catches fire. Anurag hugs Prerna and says I love you.